South Sudan: attempted coup or politics as usual? 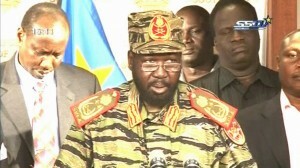 On Monday, South Sudan’s President Salva Kiir announced that his government had headed off a coup attempt. At a televised news conference, Mr Kiir, dressed in a camouflage army uniform, told the world that a group of soldiers allied with the former vice president, Riek Machar (who was sacked in July when the president dismissed his entire cabinet) had been behind the attempted coup. “The attackers fled, and our forces are pursuing them,” Mr Kiir said and further stated “I promise you today that justice will prevail.” Mr Kiir imposed a curfew and affirmed that “the government is in control of the situation”. 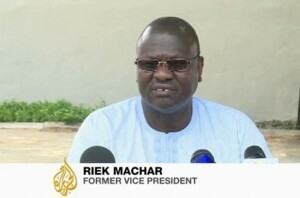 He further promised that “The Sudan’s People’s Liberation Movement (SPLA) is fully committed to the peaceful and democratic transfer of power and will never allow political power to be transferred through violence”. Despite this, at the time of writing unconfirmed reports say that at least 400 people have been killed and up to 800 wounded. But are we witnessing a coup in South Sudan? Probably not. First, one should forget, or at least treat with caution, the wording employed by the actors involved the crisis. President Kiir has spoken of a “coup attempt” and “criminal actions” whilst Machar refers to the “manufacturing of a coup plot to launch a crackdown against the opposition…the country is to be united and cannot tolerate one man’s rule or it cannot tolerate dictatorship”. South Sudanese politics is interwoven with low intensity warfare, inter-ethnic violence and norms of authority grounded in violence. This violence is designed to generate loyalty, fear and legitimacy within a region or an ethnic group vis-à-vis those in power. The army in South Sudan has a tremendous importance in two ways: both as a space for politics and as a ‘welfare provider’ within the nascent state. Furthermore, the make-up of the army reflects the divided politics of the country. 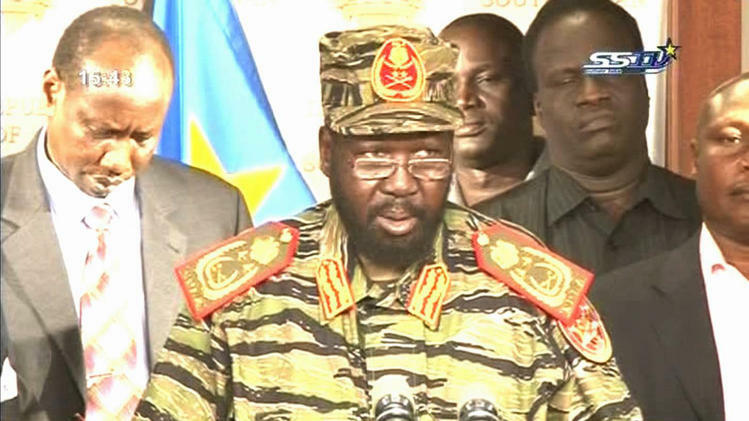 There is a rebellion against Salva Kiir in the SPLA. The SPLA are fed up with Salva Kiir and want him out. “The SPLA had never succeeded in overcoming the tribal identities of its soldiers and developing a national ethos, as a result the army often operated as a collection of militias and warring factions whose members were more loyal to their tribe or individual leaders than to the SPLA hierarchy” (Young 2012). Historically, oil and the public sector have dominated South Sudan’s formal economy. Oil exports previously accounted for the majority of government revenues, financing 98% of the 2011/12 budget. A significant share of successive annual government budgets has been allocated to the security sector since the signing of the CPA. Security spending was at the top of the government priorities that aimed to “develop an efficient and effective armed force, to safeguard security and implement the CPA.” In 2012, 41% of the government’s expenditure was allocated to security – mainly as salaries to members of the SPLA. *Source African Arguments.Jairo Munive is a Post Doc researcher at the Peace, Risk and Violence Unit- Danish Institute for International Studies.